IT IS quite disheartening to note that pockets of politically orchestrated violence have continued way after the official campaign period is over. To our chagrin, this vice was perpetrated on the polling day. This was the least expected occurrence to have been recorded in any part of our country owing to the several messages from many concerned stakeholders on the need for peace to prevail before, during and after elections. We think such barbaric acts must be condemned regardless of the political party involved. The underlining factor is that acts of violence are retrogressive to our political discourse. The thinking and resolve to resort to the use of violence as means of championing passage into government should never be tolerated. In a democracy, like ours, it is to the delight of all patriotic citizens to foster competition of ideas among political players as opposed to physical confrontation. Such type of draconian and colonial style politics belongs to the medieval era. The only acceptable way for change of leadership can be by the ballot and not through unorthodox means. The observations made by a member of the Zambia Elections Information Centre (ZEIC) Council of Elders Anna Chifungula that the violence was perpetuated mainly by the United Party for National Development (UPND) and the Patriotic Front (PF), and that the cadres seemed to have had the blessing of their leadership, vindicates our assertions on the subject matter. As a result of this, political cadres are increasingly becoming unruly to the extent that they showed no regard for law enforcement agents. This state of affair is so sad particularly that the use of vulgar language by some political party officials definitely contributed to the vice. The stoning of the UPND branded bus by suspected PF cadres in Mtendere compound early this week was an act that must be condemned in the strongest terms. No political party should be restricted in their campaign activities. Another incident is where some PF party members in Itezhi-Tezhi fell victim to such dosage of violence when suspected UPND pounced on them on Election Day, leaving several of them gravely injured. What makes this incident unfortunate is that a senior UPND party official allegedly issued instructions to his cadres to attack PF cadres when he featured on a community radio programme a day before the polls. When we say that the opposition UPND and the PF have been at the centre of political violence, it might seem as though we are speaking from without. But it is incidences like these that we base our argument on. What ought to be known by the opposition political parties especially is that violence does not help them provide reliable and alternative leadership to the ruling party. If the ruling party cadres engage in violence, the best the opposition can do is to choose to be sober and reasonable in their approach. Being peaceful is part of our DNA as Zambians. Thus, whoever aspires to lead this great nation must appeal to our intrinsic nature. 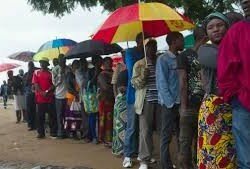 The generally observed massive turnout at many polling stations across the country on Thursday bears testimony to the fact that the electorate were eager to exercise their democratic right – to elect a crop of preferred national leaders in a non-violent way. Therefore, it is only logical to maintain law and order even as we await the official announcement of election results by the Electoral Commission of Zambia (ECZ) and not rely on unofficial sources which will only help raise tension in the nation.